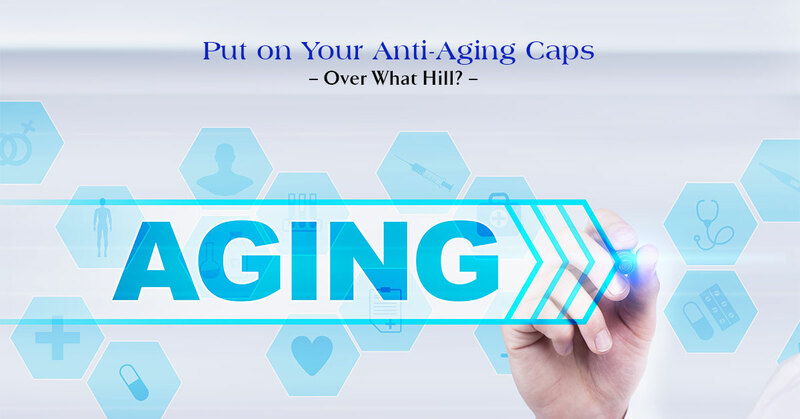 On the very flip side of anti-aging miracle creams and products is where you’ll find the real truth about anti-aging. They’re called “telomeres”. We inherit telomeres from our parents, but no matter the length of our telomeres at birth, everyone’s get shorter as they age. Telomeres are essential for the health of chromosomes. Telomeres are the caps at the end of each strand of DNA that protect our chromosomes. Think of telomeres like the plastic tips at the end of shoelaces. (that’s science you don’t need a doctorate to understand, right?) Without the coating, shoelaces become frayed until they can no longer do their job. In the same way, without telomeres, DNA strands become damaged and our cells can’t do their job. DNA makes up all of the cells in our body. It is the genetic material that makes us who we are. And every organ in our body (skin, liver, heart, etc.) is made up of cells. So, telomeres are vital to our health. When we use the analogy ” frayed shoelaces”, we really mean that the telomeres become shortened. Eventually, they can no longer do their job. They shorten as we age, but they can also be shortened by stress, smoking, obesity, lack of exercise and poor diet. In any case, telomeres act as the aging clock in every cell. Each time a cell divides, its telomeres become shorter. After years of splicing and dicing, telomeres become too short for more divisions. At this point, cells are unable to divide further and become inactive, die or continue dividing anyway — an abnormal process that’s potentially dangerous. While your cell clock is ticking, there are things you can do that have been shown to actually lengthen telemores. -Exercise regularly-people who do regular (but not crazed exercise) have been 3% less likely to have super short telomeres than a person who didn’t exercise at all- the more intense the exercise the longer the telomeres. -Eat a range of foods for antioxidant and vitamin benefits. A diet high in antioxidant foods like berries and artichokes can slow down aging and help prevent or reduce cell damage. Try meditation and yoga-there are even studies that have found yoga and meditation maintained telomere length in breast cancer patients. So, all is not lost. There’s another key player in the game: telomerase. Telomerase is an enzyme that lengthens telomeres and keeps them from wearing out too fast or too early. Exposing human cells to telomerase slows cell aging and allows cells to begin copying again and longer telomeres cause gene expression to change to a younger phenotype (phenotype is how genetic and environmental influences come together to create an organism’s physical appearance and behavior) which makes cells function as though they were younger. Trying to explain telomerase further here might cause your “huh?” button to want to click away, so just know that telomerase is something that can help. There is a definite science to aging. And while aging is inevitable, how old it makes you feel is optional. A lot is involved in the process. Yes, the telomeres that are at the end of each strand of DNA that protect our chromosomes, will shorten with age. If you allow the process to continue, you can count on the cells that die to create real physical problems. Fortunately, the process can be reversed. The length of telomeres can be extended with Peptide Therapy. It is important to know that there isn’t just one Peptide Therapy option. There are many, because each person is different. And no one is better able to determine which option is the one exactly for you, than Stephen A. Goldstein MD, F.A.C.S. at Denver Hormone Health. For years, patients have counted on Dr. Goldstein for his expertise and experience with hormone therapy. But his skill with Peptide Therapy options, rivals that. The benefits are many, and you’ll be amazed at all they can do to take years off your years. Call now, and keep this in mind; feeling young is appropriate for any age.